Well, That made us think and decide that we should Pre-Launch MCIE 2.0 right away, because it will never be perfect and we have a lot of people who are interested in it. People who has been waiting for a very long time. Now, I am very happy to announce that … MCIE 2.0 is now LIVE and open for Enrollment! Oh, we stayed up way, too late last night to get everything ready for today’s Launch. And we even decided to add a few more bonuses! Like … Weekly calls / live streams and other ways to grow our community and help each other, because M.C.I.E. 2.0 is really ALL about YOU, the members! As a gift, to all of you who have been eagerly awaiting Launch Day, … for the 1st 500 members of M.C.I.E. 2.0, you will get in on a super low price. First 500 members: Get OVER 50% off! Yes, more than 50% off! To get inside M.C.I.E. 2.0, Click Here! LAUNCH DAY: Get More 50% Off! Today, we wanted to open the doors to everyone on the Guest List and give them the first opportunity to join us before we open this up to the public. We’ve included a Button which will direct you to the registration page. If there are any technical issues, we will deal with it ASAP and make sure everyone can get in without any problems. If you need any help just contact us. We recommend contacting us via FB Messenger. We will be adding to the main Members Area, as we grow together. We have the basic framework created and based on our members’ input, we shall mold and shape it together. Please keep in mind that MCIE 2.0 is completely new and we will continue to add lots of valuable content, in time. Such as: Videos, Articles, Tips, Strategies and Online Courses worth $199 – $297 each month. Which you get for FREE as an MCIE 2.0 Member! 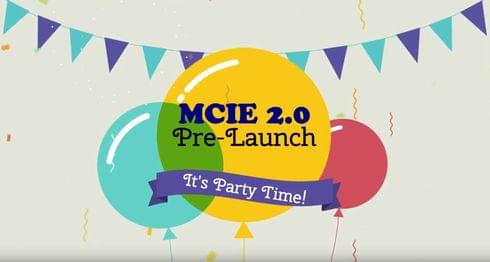 Inside, there will be ONE main MCIE 2.0 Members Area, with multiple Online Courses added each month, and more will be added each month … which is on top of everything else, we are doing with and in MCIE 2.0. We are committed to producing a new course, once per month. However, we shall be releasing the lessons, exercises, materials, videos, PDF’s, Books, etc. as soon as they are made and ready. Therefore, the courses themselves — the lessons, exercises, and everything will be added as we produce them. As a member, you will gain access to everything in the Members Area once you have enrolled and registered successfully. Please be aware that due to the format of this group, there will be no refunds. You will be billed each month and you may cancel at anytime. We are only interested in serious Members in the M.C.I.E. 2.0, and thus understand that M.C.I.E. 2.0 may not be for everyone. … Not sure if MCIE 2.0 is right for you? Not Sure if MCIE 2.0 is Right For You? Read This First: Who IS M.C.I.E. 2.0 For? … & Who Is M.C.I.E. 2.0 NOT For? Please read this message completely, because we want you to be informed & happy with what you’re getting! … It’s better to be certain before you enroll. Please remember that M.C.I.E. 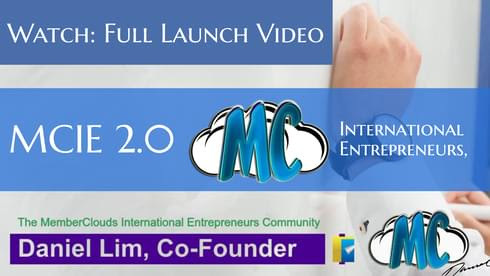 2.0 is not free and the price you pay at Launch or as an early bird is the lowest price we will ever offer for M.C.I.E. 2.0. Even the regular price of $99 is too good to last long. We will increase the price of M.C.I.E. 2.0 over time. Still have questions? … Hit reply! Reply this Email Message or Send Daniel a message on LinkedIn. OR you may also contact us via FaceBook Messager. Ps. By now, you should have a pretty good idea what the MCIE 2.0 is about. – Full Access to our growing Members Area and one new course per month! – Access to the group coaching calls & past replays. – Regular / Monthly Videos covering new strategies, Software, solutions, and the behind the scenes of what we’re building. * Achieve goals and encourage others to do the same! * Get connected and want to grow their network! * Be focused and responsible! * Give back & help others! LET ME INTO MCIE 2.0 !!! © 2018 | Powered by MemberClouds.